Bluebird nest boxes are most successful when placed on a post or pole, in an open area, about 4' to 5' high. 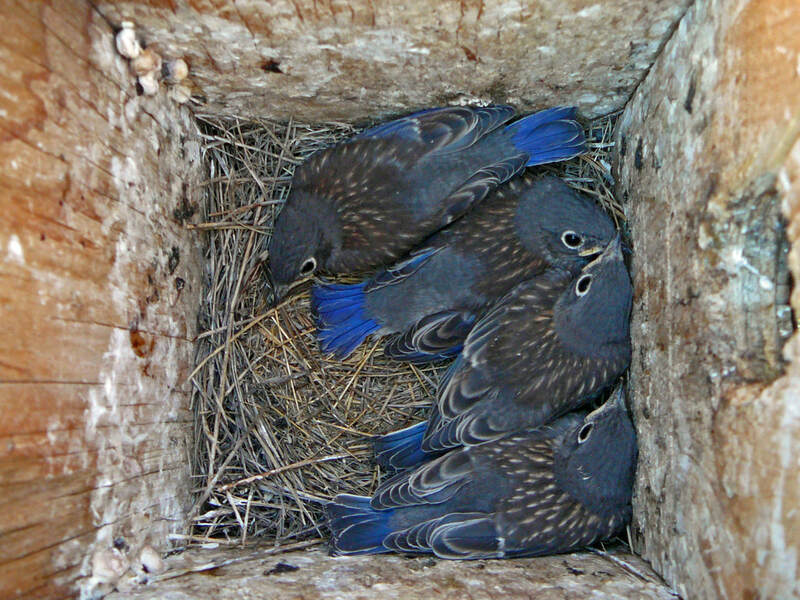 The Western and Mountain bluebirds in the East Kootenay prefer a slightly larger entrance hole than their Eastern neighbour - but not so large that European Starling can enter. A roughened interior aids the birds in exiting the nest. 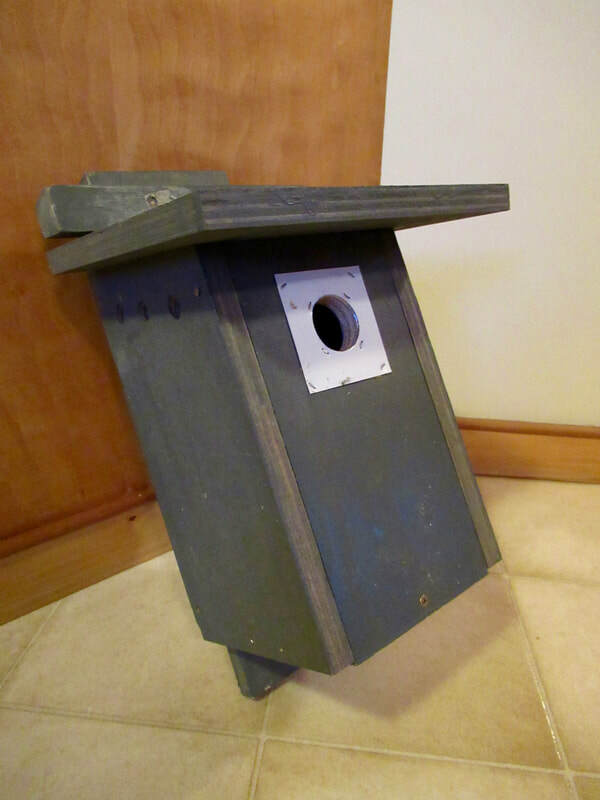 A bluebird house should never have a perch, as they do not need one and it prevents predators from overtaking the nest. 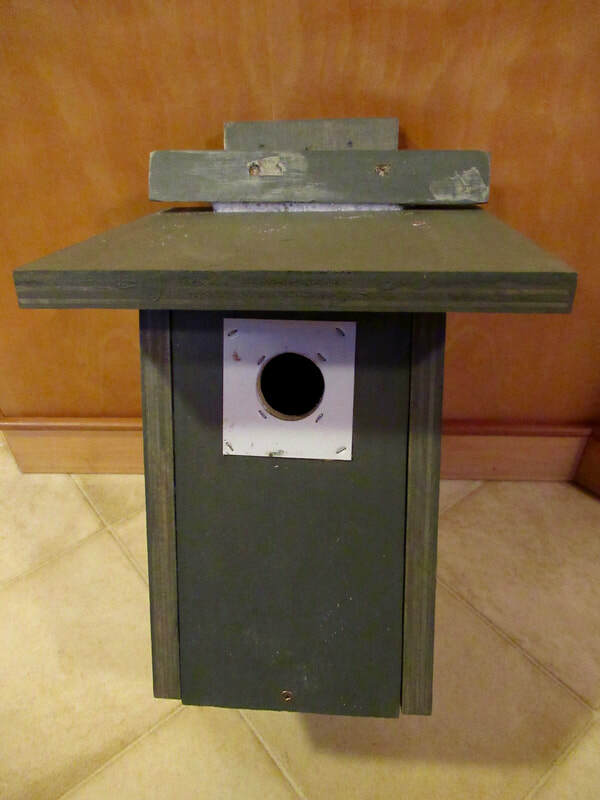 Other species you may attract with this nest box type include: Violet-green Swallow, Tree Swallow, Mountain or Black-capped Chickadee, and Red-breasted or White-breasted Nuthatch. ​The boxes will come with a very clear "needs sheet" for your new purchase. The Rocky Mountain Naturalists have a limited supply for sale. ​Please fill in the form below to arrange purchase. 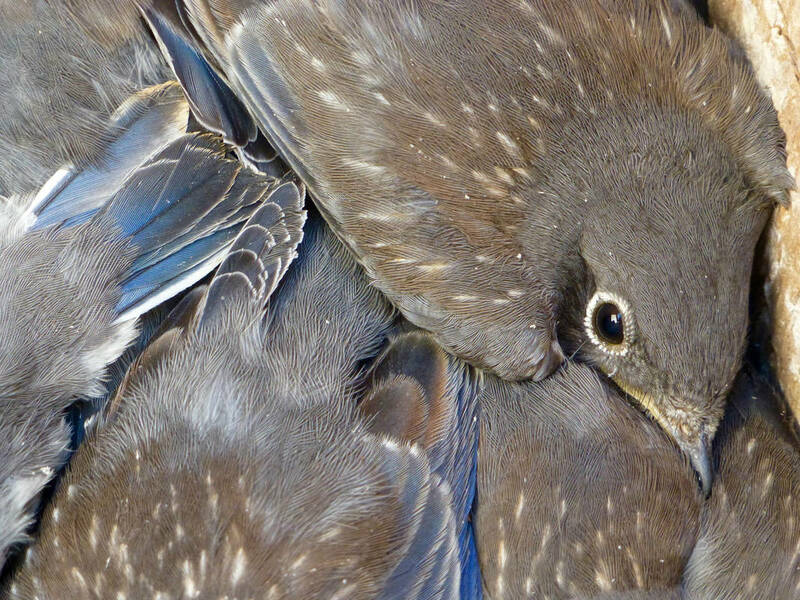 The Rocky Mountain Naturalists, BC Nature and other member clubs have produced checklists, information handouts and other products in the hopes of enriching your naturalist experience here in British Columbia and the East Kootenay. If these items are not in a .pdf format that you can download please use the contact form below to arrange delivery. Please send me more information about how to obtain a product.